Rapid diagnostic tests have been identified as a game changer in the world of infectious diseases. Here, two infectious diseases pharmacists weigh in on the topic and identify several things to know about rapid diagnostic tests. In an era where antimicrobial stewardship programs are being built into the healthcare landscape and drug-resistant infectious pathogens are becoming increasingly prevalent, employing new tools to assist in judicious antibiotic use has become a topic of great interest. One tool that has been welcomed by antimicrobial stewards is rapid diagnostic tests (RDTs). Through the use of RDTs, clinicians are able to obtain information from the microbiology lab that enables for early identification of which drugs may or may not work for the offending organism causing infection. The impact of RDTs can be profound if effectively incorporated into existing healthcare systems, potentially shortening the time by days to when an antibiotic regimen can be narrowed or even discontinued. There are many different types of RDTs now being used in healthcare and we continue to learn more about how to use these new tools. While many people may not be familiar with RDTs, antimicrobial stewardship leaders predict that they are a total game changer for the world of infectious diseases. In the following, we identify 5 highlights from this exciting and emerging field. There are many different types of RDTs, so before implementing a system it is important that institutions consider their most problematic organisms (e.g., MRSA, VRE, resistant Gram negatives, resistant Candida spp.). Both the prevalence of specific organisms and resistance genotypes/phenotypes are factors to consider. 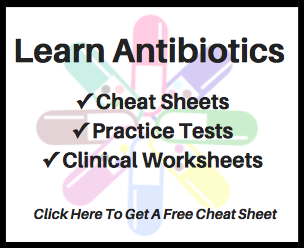 For those who work in a hospital setting, you can see if there is an institutional antibiogram and this can give you information on how antibiotic resistance looks where you practice. The microbiology lab should be able to provide data on the frequency of pathogen identification. An excellent starting point for understanding the various RDTs is to read Review of rapid diagnostic tests used by antimicrobial stewardship programs by Bauer and colleagues, as it describes many of the RDTs as well as a checklist to consider prior to implementation . Note that this field is rapidly expanding and since this review there are several new RDTs which are now available. RDTs may be minimally impactful if the results are not utilized in a timely manner to make clinical decisions. For example, if testing occurs after normal business hours, clinicians may be less accessible and a result may not be acknowledged until the following day. Alternately, if clinicians do not fully understand the results they are provided, the data may go unused all together. Beyond implementation assistance, stewardship programs may engage in active interventions based upon the results of the RDTs. This is becoming more common as RDTs have become more widely available, but we are still learning about how to best implement RDTs into existing systems. Coagulase-negative staphylococci (CoNS) are part of the normal skin flora and often represent specimen contamination when isolated from a blood culture. This is particularly common when two sets of blood cultures were taken from different sites and only 1 of the 2 is positive. The problem is that in the absence of RDTs, clinicians typically have to cover patients empirically with antibiotics for several days until traditional microbiology testing methods produce organism identification. Using RDTs, CoNS in blood cultures can be identified much earlier on and unnecessary exposure to potentially toxic antibiotics can be avoided. One study introduced use of an RDT called peptide nucleic acid fluorescence in situ hybridization (PNA FISH) for rapid identification of Staphylococcus aureus versus CoNS from blood cultures positive with Gram-positive cocci in clusters. No intervention was performed on the results for CoNS identified by PNA FISH and it is believed this lack of intervention led to no difference in vancomycin treatment duration or hospital length of stay when comparing the pre- and post-intervention time periods . In contrast, a study using an RDT called rapid polymerase chain reaction (rPCR) coupled CoNS identification with infectious diseases pharmacist intervention. This produced a reduction in exposure to anti-staphylococcal antibiotics by 43.5 hours (P = 0.011) and infection-related length of stay by 4.5 days (P = 0.018) when compared to the pre-intervention group . Antimicrobial stewardship programs can objectively demonstrate improvement of patient outcomes by collecting information about their RDT interventions. The first study demonstrating clinical outcomes used rPCR to identify methicillin-resistant versus methicillin-susceptible Staphylococcus aureus from blood cultures positive for Gram positive cocci in clusters. In the post-rPCR group, switch to nafcillin or cefazolin from vancomycin was 1.7 days shorter (P=0.002), hospital costs were $21,387 less per patient (P= 0.02) and length of stay was 6.2 days shorter . One study used another type of RDT called matrix-assisted laser desorption/ionization time-of-flight (MALDI-TOF) mass spectrometry on blood-cultures positive for Gram negative bacteria. The study demonstrated a 36.7 hour decrease in time to active therapy in patients receiving inactive therapy (P < 0.001), decrease in length of stay by 2.6 days with intervention (P = 0.01), and reduction in hospital costs by $19,547 (P = 0.009) . A second study using MALDI-TOF to identify bacteria and yeast growing from positive blood cultures demonstrated similar results to decrease time to active therapy, length of stay, and a 7.6% decrease in 30-day all-cause mortality (P = 0.021) . Now that the Joint Commission has released standards on antimicrobial stewardship which go into effect in January 2017, documenting and tracking program activities for future reporting is more important than ever. Regardless of which RDT is used, many of the studies involving RTDs incorporate pharmacists performing an intervention and we are aware of many hospitals that engage pharmacists in their RDT program. Frequently pharmacists performing RDT interventions have formal infectious diseases training [3-6] or critical care , but the role of the pharmacist in RDT use should not be limited to specialist pharmacists. Clinical pharmacists from a variety of fields can utilize their knowledge of both microbiology and antimicrobials along with critical thinking skills to effectively accomplish interventions using RDT. The pharmacists’ ability to enter verbal orders from ordering clinicians can provide quick change in antimicrobials and dosing optimization, simultaneously. Further, creation of protocol-driven processes to allow for pharmacists to independently make changes based on RDT results may be considered. RDTs are here to stay and there is still much to learn about how to use these tools in a way that is effective, fiscally responsible and supports judicious antibiotic use. We anticipate much is yet to come from the world of RDTs. We also expect that in the future clinicians will not only be more familiar with RDTs but also one day will expect them to become standard practice from microbiology laboratories to support the high level of care patients deserve. Whatever the future may hold, it will certainly be interesting to watch and participate in the advancement of medicine using rapid diagnostic tests. 1. Bauer KA, Perez KK, Forrest GN, Goff DA. Review of rapid diagnostic tests used by antimicrobial stewardship programs. Clin Infect Dis 2014; 59 Suppl 3: S134-45. 2. Holtzman C, Whitney D, Barlam T, Miller NS. Assessment of impact of peptide nucleic acid fluorescence in situ hybridization for rapid identification of coagulase-negative staphylococci in the absence of antimicrobial stewardship intervention. J Clin Microbiol 2011; 49(4): 1581-2. 3. Wong JR, Bauer KA, Mangino JE, Goff DA. Antimicrobial stewardship pharmacist interventions for coagulase-negative staphylococci positive blood cultures using rapid polymerase chain reaction. Ann Pharmacother 2012; 46(11): 1484-90. 4. Bauer KA, West JE, Balada-Llasat JM, Pancholi P, Stevenson KB, Goff DA. An antimicrobial stewardship program’s impact with rapid polymerase chain reaction methicillin-resistant Staphylococcus aureus/S. aureus blood culture test in patients with S. aureus bacteremia. Clin Infect Dis 2010; 51(9): 1074-80. 5. Perez KK, Olsen RJ, Musick WL, et al. Integrating rapid pathogen identification and antimicrobial stewardship significantly decreases hospital costs. Arch Pathol Lab Med 2013; 137(9): 1247-54. 6. Huang AM, Newton D, Kunapuli A, et al. Impact of rapid organism identification via matrix-assisted laser desorption/ionization time-of-flight combined with antimicrobial stewardship team intervention in adult patients with bacteremia and candidemia. Clin Infect Dis 2013; 57(9): 1237-45. 7. Sango A, McCarter YS, Johnson D, Ferreira J, Guzman N, Jankowski CA. Stewardship approach for optimizing antimicrobial therapy through use of a rapid microarray assay on blood cultures positive for Enterococcus species. J Clin Microbiol 2013; 51(12): 4008-11.